When first released, Vangelis’ score for 1492: Conquest of Paradise did badly in sales. It didn’t help that Ridley Scott’s work was also a disaster. It was only in 1995 that the title track rose in prominence after a German boxer used it as introduction music before his boxing bouts. 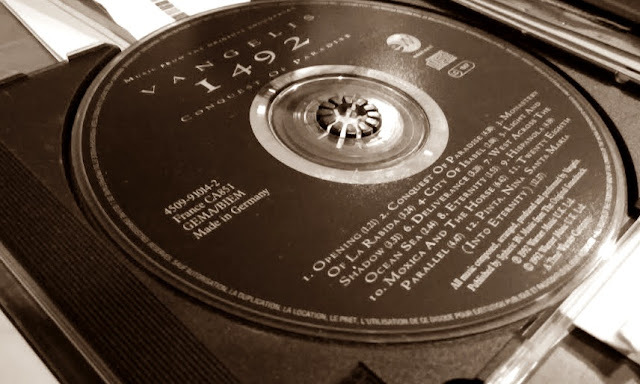 More than two decades on, and on hindsight, this album is a masterpiece, one of Vangelis’ very finest. If his score for Blade Runner (1982) is his magnum opus, this comes as a close second. Alternating between dynamic pieces like the title track and ‘Light and Shadow’ and quieter but evocative tracks like ‘Monastery of La Rabida’ and ‘West Across the Ocean Sea’, the score provides a sumptuous musical journey that culminates in the epic ‘Pinta, Nina, Santa Maria (Into Eternity)’. There’s enough ethnic flavour to suggest that Vangelis is in sync with the movie from a cultural standpoint. Some of the organic instruments used e.g. Spanish guitar and mandolin in tracks like ‘City of Isabel’, ‘Deliverance’ and ‘Hispanola’, not to mention choral work from the superb English Chamber Choir, give the album such a musical richness that you will be clamouring for more when it ends. 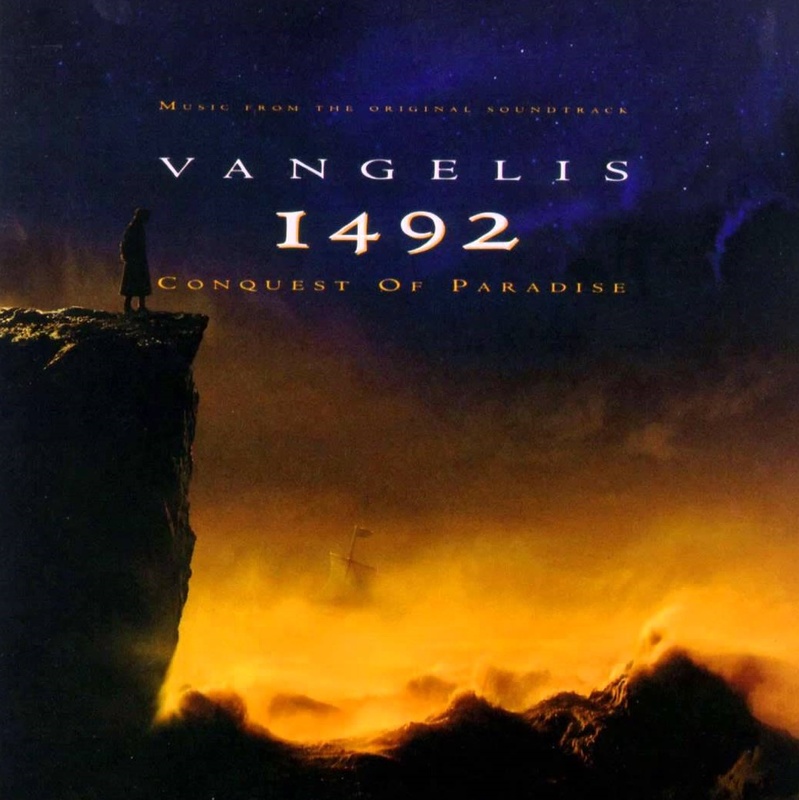 ‘Conquest of Paradise’ – One of Vangelis’ most famous movie themes, possibly only second in popularity to the main theme for Chariots of Fire (1981). This is a triumphant and powerful piece, full of grandeur and high adventure, performed with Vangelis’ synthesizers and the English Chamber Choir. ‘Hispanola’ – Also performed by the English Chamber Choir with ethnic vocalization, this is a strong, rhythmic piece with an unconventional beat. It builds up into something very spectacular midway with synths, before reprising its choral chorus. The music ends on a calming note, as if the fury of battle has given way to a thoughtful aftermath. ‘Pinta, Nina, Santa Maria (Into Eternity)’ – One of Vangelis’ most astonishing tracks in his entire discography, this 13-minute epic of electronic music needs to be experienced. The melody repeats itself again and again, but there’s never a dull moment. Its seeming endlessness is breathtaking to behold.